It has been announced the month of Dhu al-Qa’dah will be 30 days. Dhu al-Hijjah begins on Tuesday 15th September, making Arafah on Wednesday 23rd September and the Day of Hajj al-Akbar/Day of Sacrifice on Thursday 24th September. Hence Eidul-adhha 1436 عيد الأضحى will be on Thursday 24 September 2015 inshaAllah. 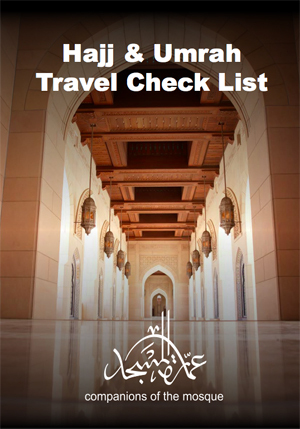 For those who are embarking on this spiritual journey of a lifetime these notes compiled by Companions of the Mosque will give you an invaluable guide to ensure you have everything you need to make this journey a enjoyable memorable experience. Download the notes here or email this link to anyone performing Hajj. It gives me the great pleasure to announce that a short course on Hajj will be running this Wednesday and Friday in the Civic Office.